Ep. 20. Can Family Be Friends? Every family has a different dynamic, but can family members really be considered friends? 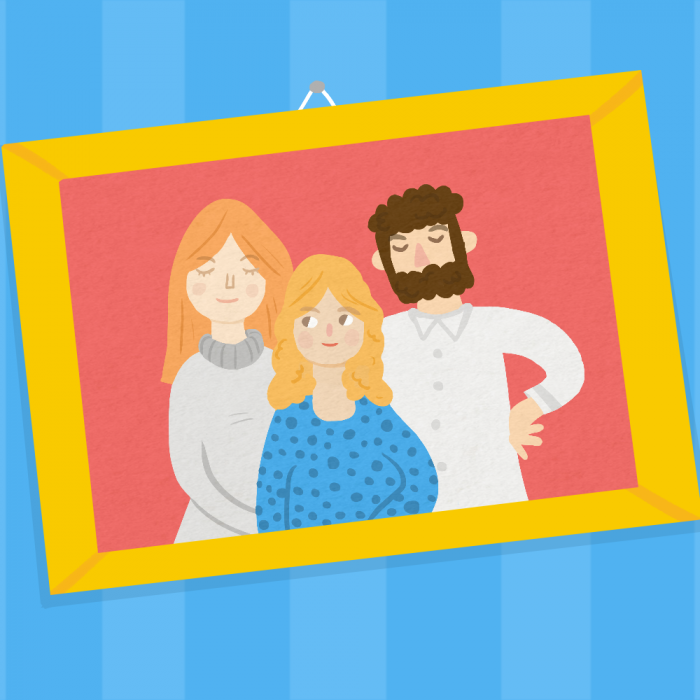 Why are family ties so important, and what the heck is family intimacy? Mary and Sienna explore what it means to be close to family. Are you friends with your family? Reflecting on the relationships with each of their families, Mary and Sienna consider whether or not they are friends with their immediate family members. Mary explains that her relationship with her parents and siblings is nowhere near as close as the relationship she has with her cousins. On the other hand, Sienna’s relationship to her immediate family is a bit closer, although she doesn’t feel like she’s best friends with any of her siblings or parents. According to Dr. Suzanne Degges-White, there are three patterns of closeness among siblings across the lifespan: they’ve always been close, their closeness has changed over time, or they have never been close. Mary and Sienna discuss where the relationships with their siblings fall in these three patterns. Why are family ties important? Family is often a reminder of who you are and where you come from, especially since you have probably known them for your entire life, so there’s usually a strong sense of familiarity and support. Sharing some more ways that family ties can be important, Mary and Sienna examine how these factors can come together to create strong family friendships. “Family intimacy does not necessarily contain the same type of emotional sharing and vulnerability that we may have with good friends,” writes Edward A. Dreyfus, clinical psychologist. “In fact, we may not feel particularly close to a given family member. We may even dislike their personality, how they live their lives, their values, and have little by way of common interests. Yet, there is a family bond.” Whether you define family intimacy as doing the mundane things together like washing the dishes or sitting down to watch TV after dinner, those intimate moments help grow that family bond. Mary and Sienna examine what Dr. Dreyfus has to say and review some of the ways their families have bonded over the years. Friendships — Can Siblings Be Friends? by Geoffrey Greif Ph.D. via Psychology Today. Family Intimacy vs. Friendship Intimacy by Edward A. Dreyfus, clinical psychologist. Siblings for Life or Friends Forever? Adult Sibling Rivalry by Suzanne Degges-White Ph.D. via Psychology Today. Tune in next week for Episode 21: Pets as Friends! ← Ep. 21. Pets as Friends!